Ten years ago most of us wouldn’t have recognized the term ‘app’ if we’d heard it. While most of us had played Snake on our old Nokia’s and PDAs we didn’t think much about the work that went into making it and had no idea how a simple game could lead the way to the technology we are in possession of today. Ever since the first App store that Apple gave us in 2008, the potential of apps has been continuously expanding and the development of them has continued to improve. In the past year alone, even more, progress has been made. In the past year, we’ve seen the development of beacon technology, which bridges online and offline app experience (although there is still some work left to be done on this). The security and privacy of individuals when using apps has continued to be development and results can be seen in Xcode 8’s new version of swift language and iOS10. Apps are also becoming more useful for wearable devices and for controlling other technologies. We can control the electronics in our home, in our car and can even use our phones to scan our way through ticket barriers and pay for our shopping. We’ve also seen brand new features in apps, such as the ability to live stream. While it might seem like this feature has been around for a long time, it’s actually surprisingly recent. While at this point in time you can find what seems like hundreds of gambling apps that feature live dealers, the first ever roulette app that featured live streaming was only released in 2012. It’s developments like this that inspired so many people to perfect their gambling by implementing progressive betting strategies such as D’Alembert and others and try out online casinos, which in turn helped to make online gambling the booming industry that it is today. This just goes to show how fast our technology is advancing. One of the most impressive advancements we’ve seen is the quality and the speed at which apps are developed. Because there is so much competition and practically every industry is doing their best to realise the potential of apps, a lot of pressure is being put on developers to cut down the time it takes to code while at the same time maintaining incredible quality, which leads to improvements we expect to see in the future in regards to app development. One feature in particular that everyone is keeping an eye on is cross platform development. When perfected, we should be able to switch seamlessly between platforms and devices when using apps. 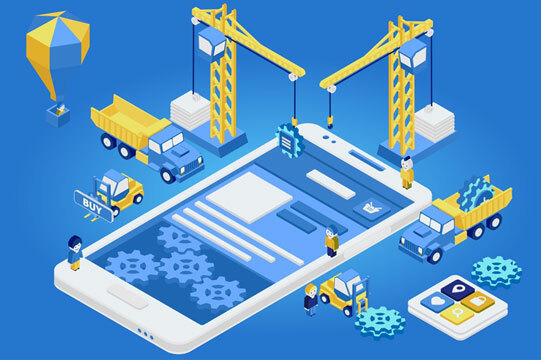 At the moment we see a lot of useful and enjoyable apps that are exclusive to certain devices, but straying away from native app development could save app developers a lot of money when it comes to making their apps available to everyone. This would be a particularly big step for the companies behind lifesaving apps like ‘Red Panic Button’ (Android) which can send emergency messages to trusted contacts if the user is in distress and ‘Diabetes Log’ (iPhone) which tracks the glucose readings and medication records of diabetics. The money saved on developing versions of the app that are native to particular devices could be spent on developing the apps further and adding more life-saving features.